What a lovely name for a fragrance.... Peony & Blush Suede. The name itself gives a subtle characteristic to the perfume, which I interpreted as soft, floral, flirtatious and luxurious. 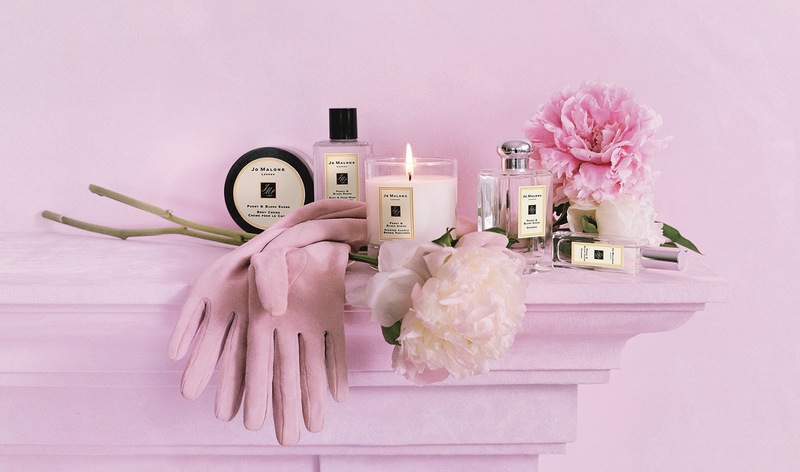 Jo Malone partnered with Master Perfumer Christine Nagel and came up with Peony & Blush Suede which will be available in Malaysia this September 2013. The first time I heard of the name of the perfume, I couldn't imagine how suede smells like. Do suede even have a smell? The first impression of the scent was the first hint of red apple being sliced. A few seconds later you will get a hint of fresh peony lingering around. The suede as a base note keeps the scent light and fresh. All of the ingredients complements each other to portray a romantic and flirtatious scent. Like other Jo Malone's fragrance, the Peony & Blush Suede is made for layering with other Jo Malone's fragrances. The Peony & Blush Suede is made to be layered with the English Pear & Freesia for exquisite juiciness and a sensuous, mellow touch. For a full floral and flirtatious scent, layer it with the Orange Blossom. The fragrance combining is endless as you can create so many different scent from the Jo Malone's collection. I still love my Blackberry & Bay, so I did a test by combining it underneath the Peony & Blush Suede. The experiment successfully created a scent which is more gender friendly. The blackberry overpowers the floral hint from the peony. From the experiment, I also discover that when I layer the same combination, but the other way round (e.g. the Peony & Blush Suede below, and Blackberry & Bay on top), it will create another different scent. If you haven't try fragrance combining yet, I suggest you to go to Jo Malone's boutique and try it out. 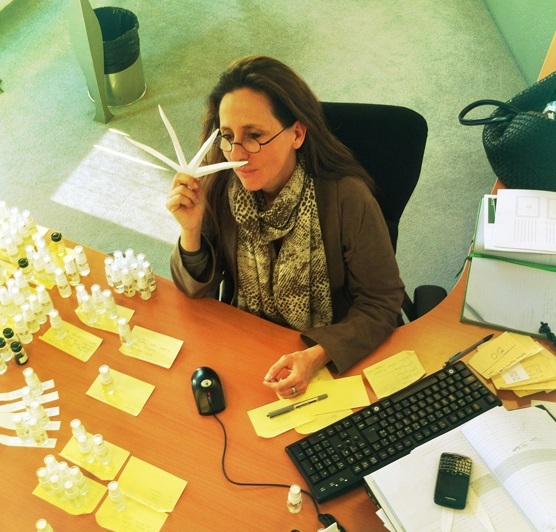 It is really fun and you'll learn so much more about perfume. The Peony & Blush Suede is available in full collection of cologne, body & hand wash, body creme and home candle. In my opinion, the Peony & Blush Suede is suitable for wedding, first date and a carefree weekend day out. The longevity for the fragrance is about 6 hours which is quite surprising for cologne. And the sillage is from moderate to heavy depending on your skin chemistry. This scent would be appreciated by female better than male. It is very unlike other Jo Malone's fragrance which can be acceptable by both sexes. Do remember to check out this special scent that made out of suede in September. I'll make sure to remind you girls again when the time is near. I know all of you will fall for this fragrance head over heels. At the mean time, I'll leave you all with the interview with Christine Nagel, the master perfumer for Peony & Blush Suede. How did you feel when Jo Malone London asked you to create a scent working with the peony flower and the idea of leather? The peony is such a delicate, beautiful flower, so widely adored for its romantic and blousy appeal. Reminiscent of grand English gardens bursting with these elegant pink blooms. I was immediately interested in thinking about how its subtle fragrance might blend with the textures of fabric and leather. What was the inspiration behind Peony & Blush Suede and how did it develop? For me this fragrance captures the connection between the craft of fragrance and couture fashion. I wanted to capture the charm of the English ballroom in the mid-20th century. The heady glamour of the Cecil beaton era. Women elegant in couture, with peonies brought in from the great country estates, the gossips and moodiness as the night unfolds. We wanted a fragrance that embraced both the floral notes and atmospheric texture of this scene. I choose to work with texture, to bring something unexpected - suede is not only surprising but has a muscularity that acts as the perfect complement to the peony flower. What was you starting point as you embarked on creating the blend? There are so many varieties of peony, and so many stages the flower takes; the tight bud which gently unfolds as the petals fall softly from the stem. I had to choose which facets of this extraordinary flower I wanted to transcribe in the fragrance. Additional layers are created with the sensuality of rose honey, the sophisticated of jasmine and the spice of gillyflower. How would you describe Peony & Blush Suede as the fragrance unfolds? The fragrance starts with the crisp bite of the juicy apple, in combination with the fresh almond giving a softness. After that comes the floral heart, where the peony takes centre stage. The intriguing aspects of this fragrance is the duality of the enveloping feminine floral and the muscle of the textured suede. The fragrance is a matter of sensation; you have to feel it, just as you feel a piece of fabric in your hands. Suede is an unexpected idea. What does this facet bring to the fragrance? The suede note brings sensuality, warmth and texture, and adds a certain suppleness. It's very unusual. 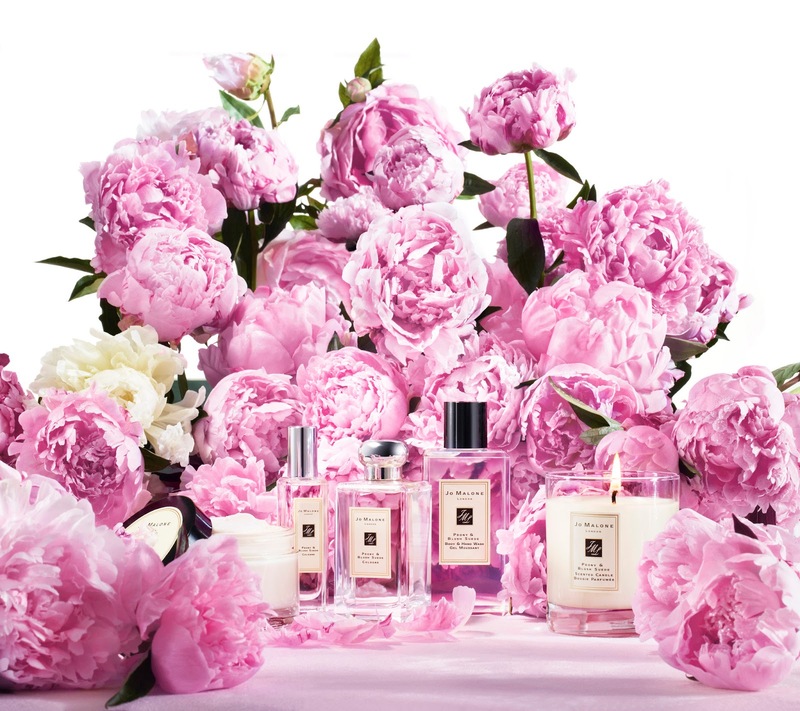 Which other Jo Malone Colognes can be layered with Peony & Blush Suede to create a bespoke scent and to what effect? I love to combine this with Saffron, from the Cologne Intense collection. An unusual choice but it works very well, giving an opulent and striking combination - the mix of a luxurious floral with a vivid spice. Or for a different effect you may choose to layer with English Pear & Freesia creating an exquisitely juicy floral with a sensuous mellow touch. oh i think i would love this! @Swee San: Yup. I love it so much!!! Can't wait til september to get it. love the classic design of the bottles.